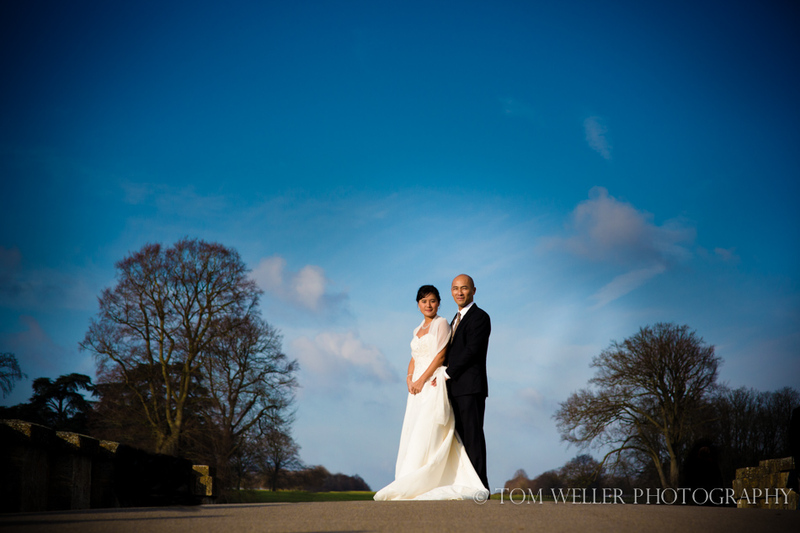 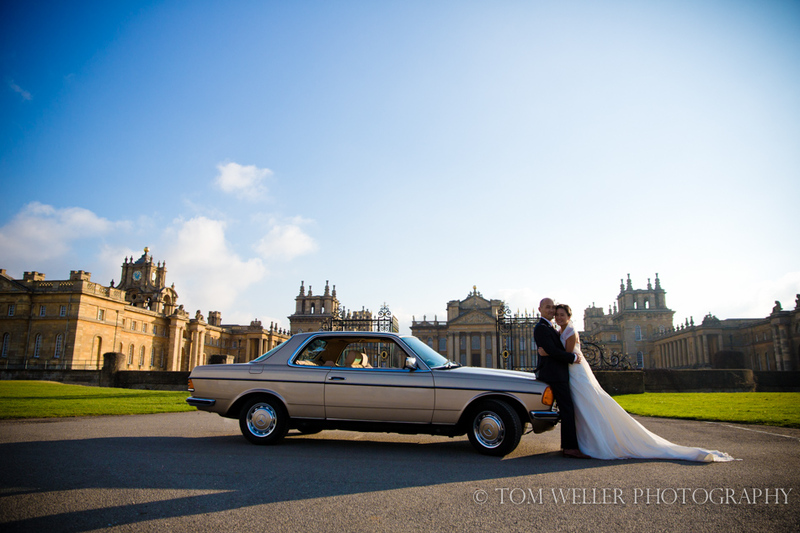 Hazel & Hai swapped the luxurious warmth of the Seychelles for a chilly but stunning day at Blenheim Palace for their wedding celebrations. 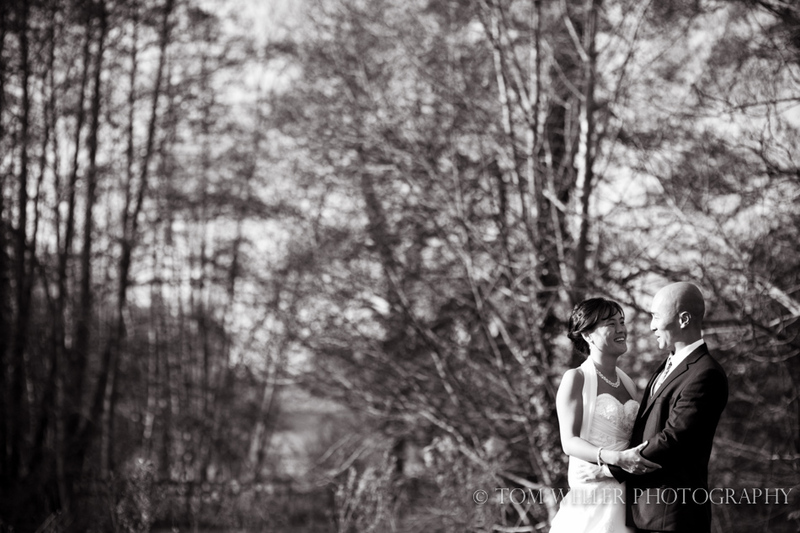 The fact is, as a wedding photographer, this is the first wedding I have photographed that didn’t actually include an actual wedding. 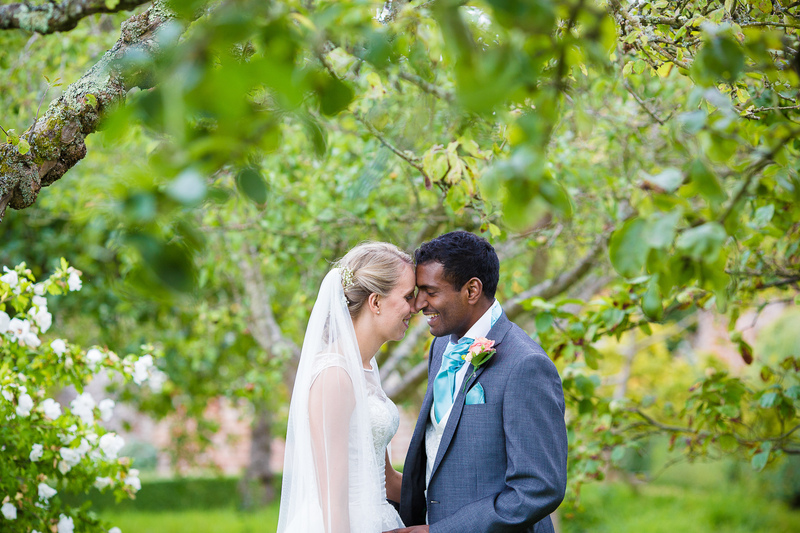 Hazel & Hai tied the knot over Christmas in the Seychelles and then chose Blenheim Palace for a celebration with their friends. 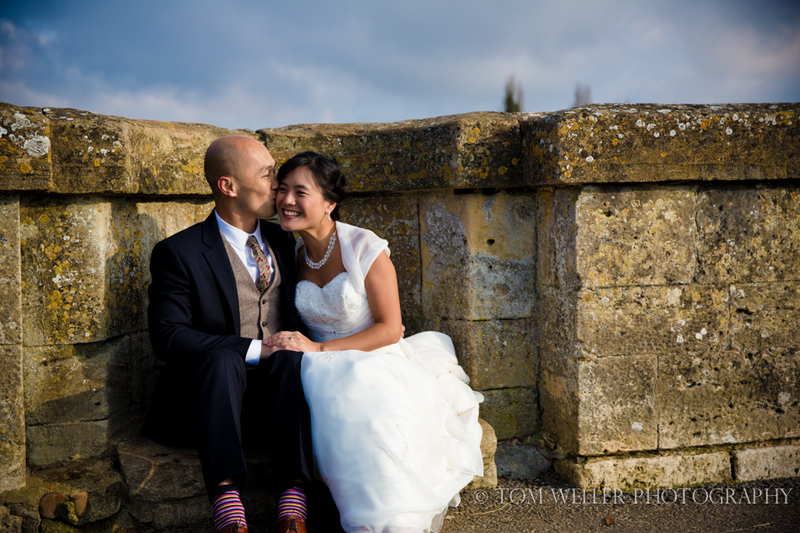 My coverage was short and sweet with a focus on portraits. 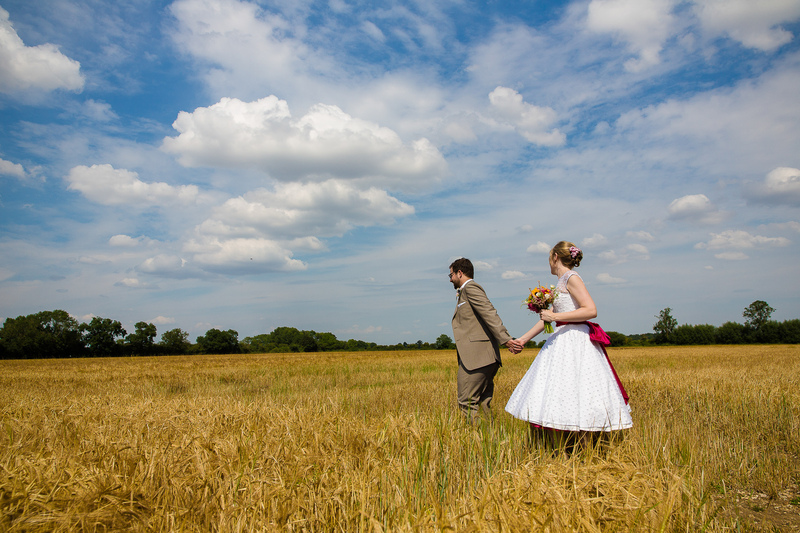 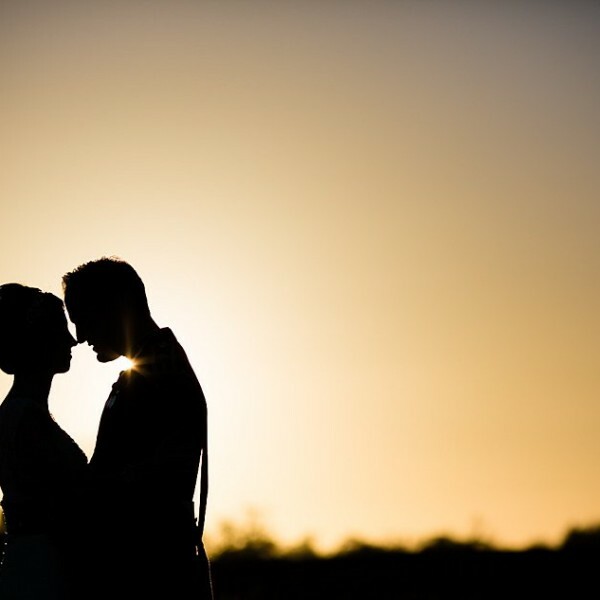 As a wedding photographer who tends to only use 15-20 minutes of a couple’s time during their wedding day for portraits (so as not to drag them away from their guests for too long) I was given a lot longer for this wedding. 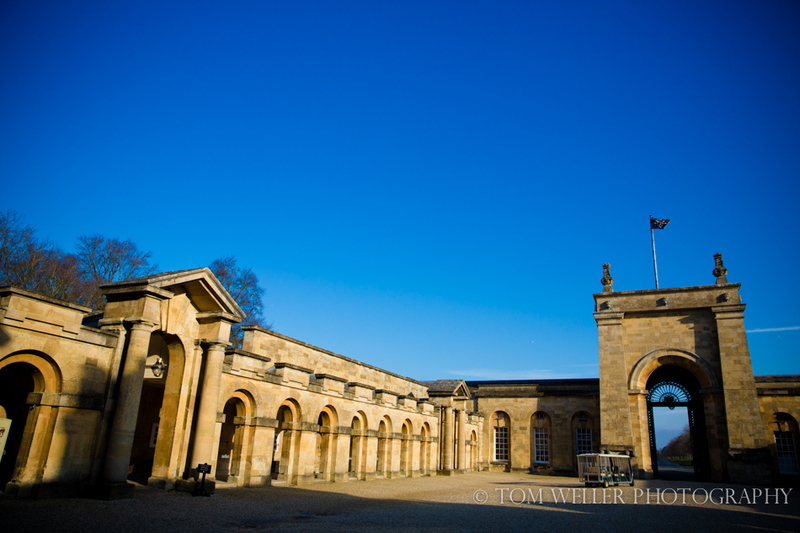 We headed out into the grounds of Blenheim in a golf buggy and took advantage of the beautiful sunny blue skies. 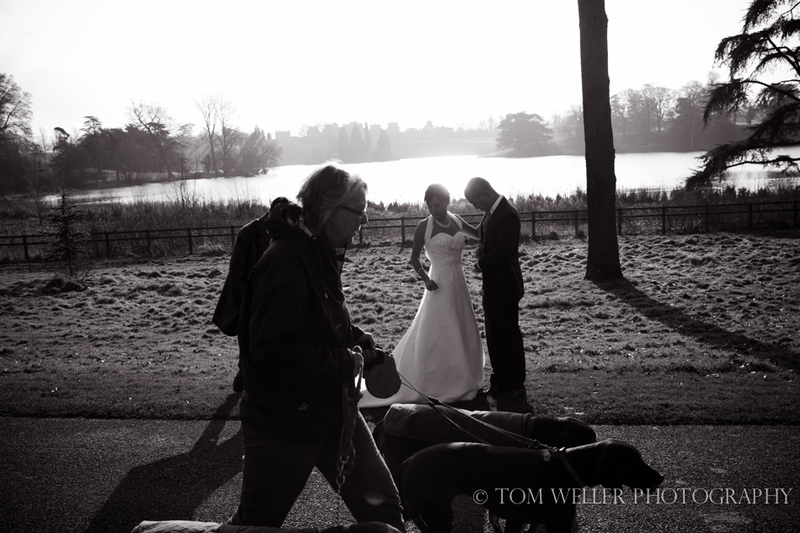 Hazel braved the chilly temperatures no doubt fortified by the continual shouts of congratulation from the many visitors taking advantage of the lovely weather for a pre-lunch constitutional. 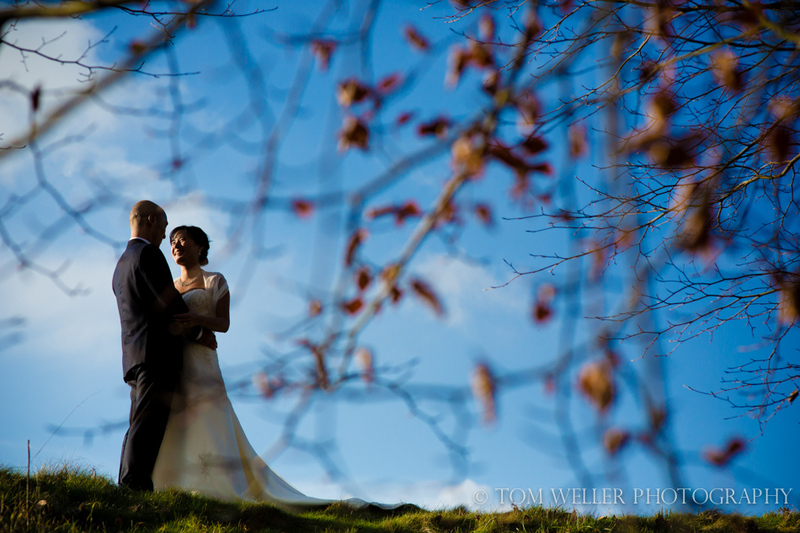 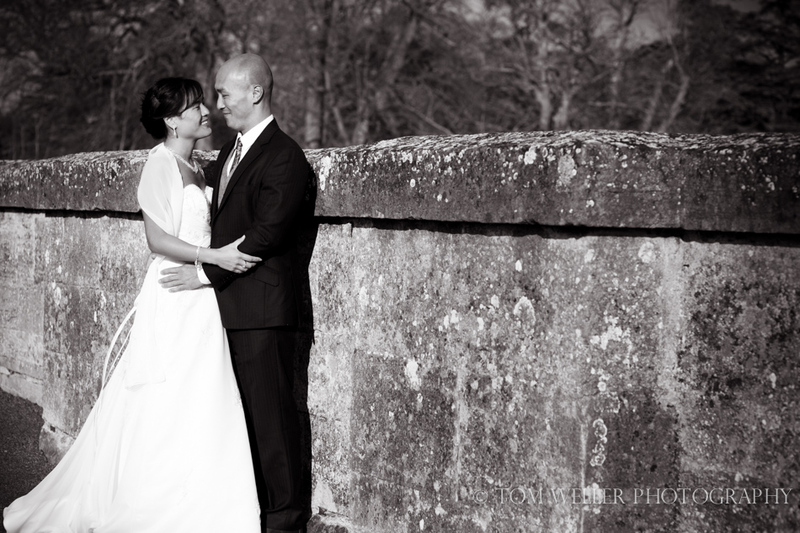 It was a pleasure to spend my time with Hazel & Hai in the grounds of undoubtedly one of the finest wedding venues in the UK. 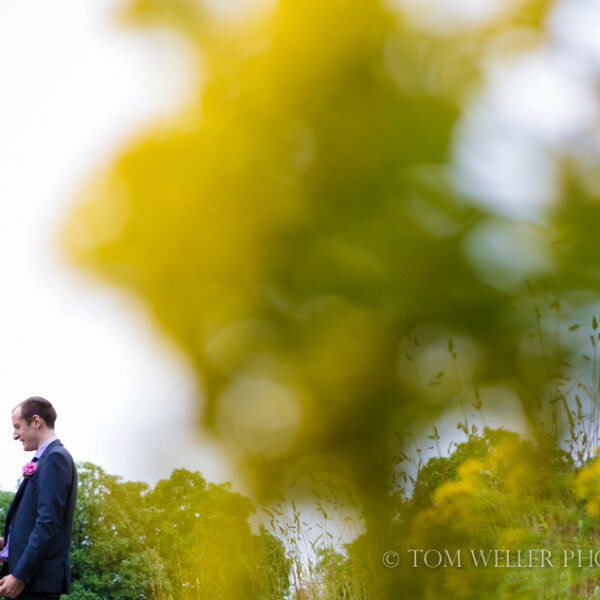 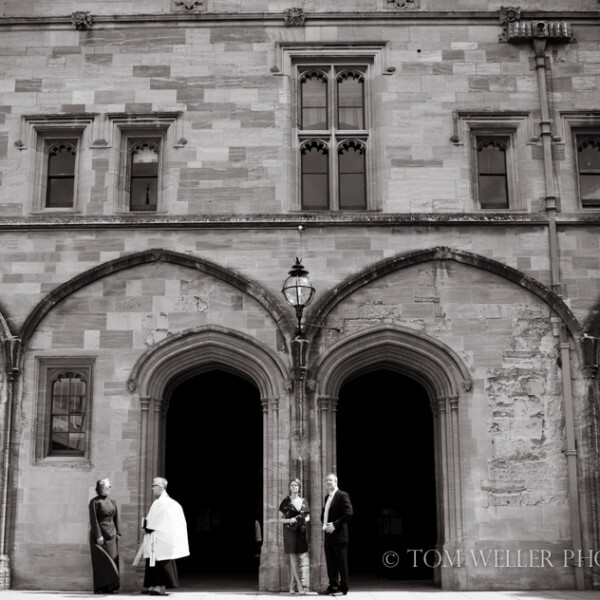 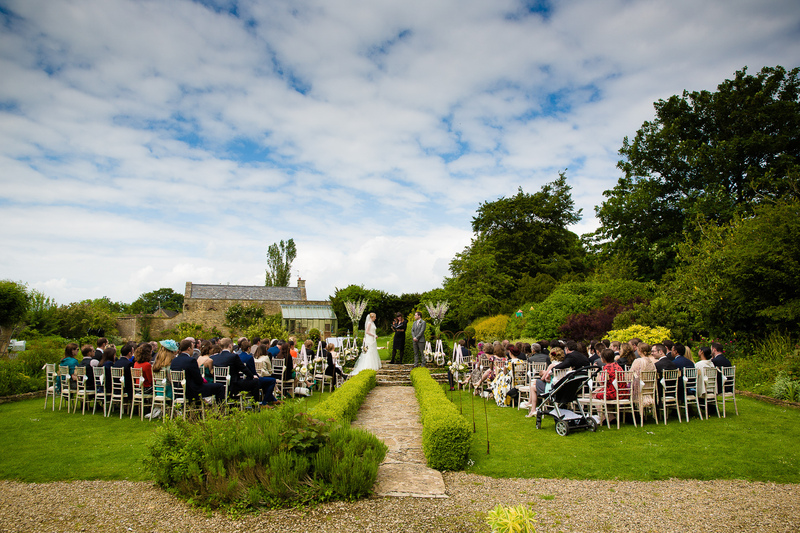 I am back there for another wedding in a couple of months and can’t wait to return. 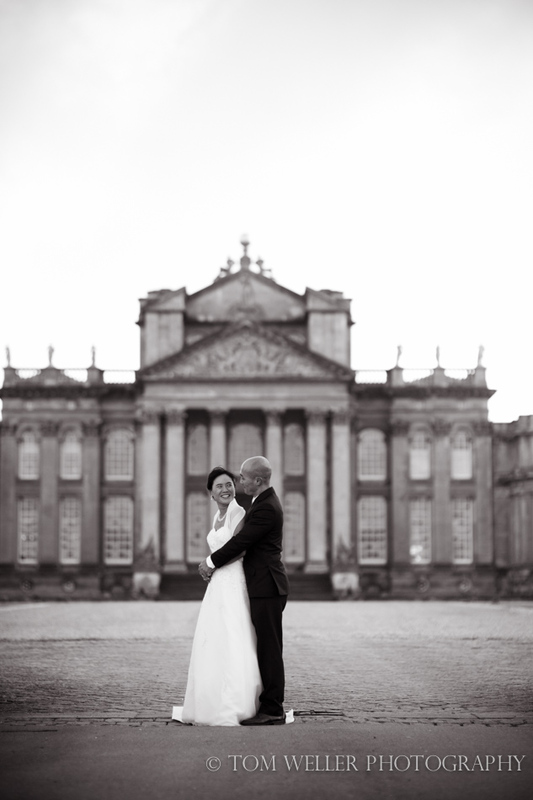 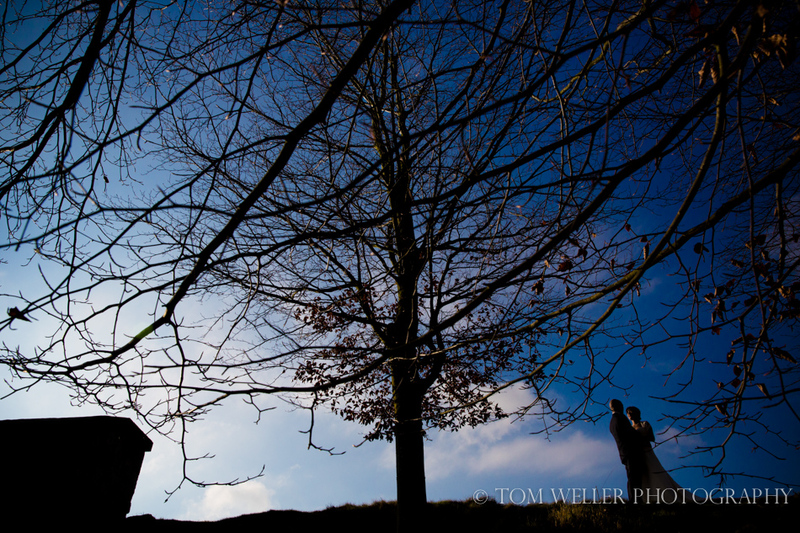 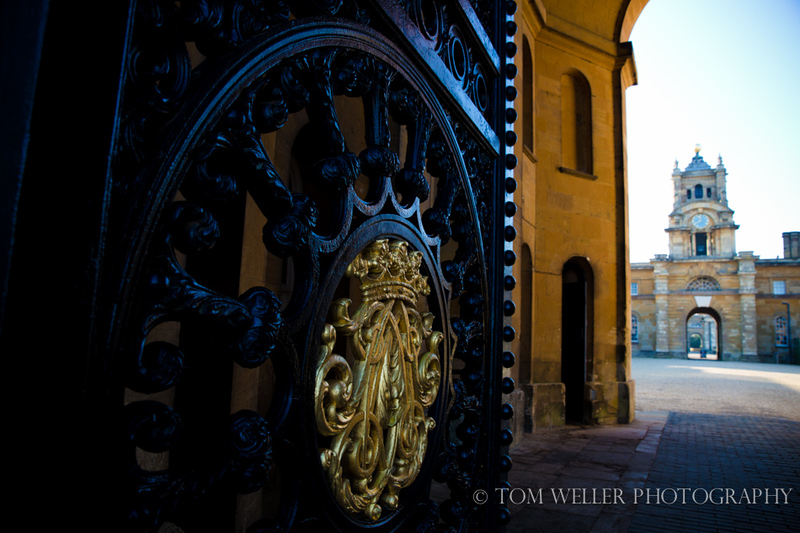 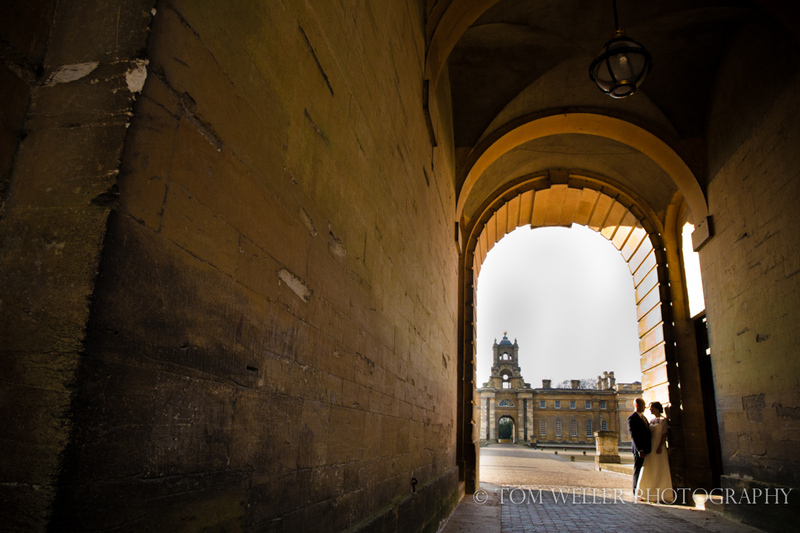 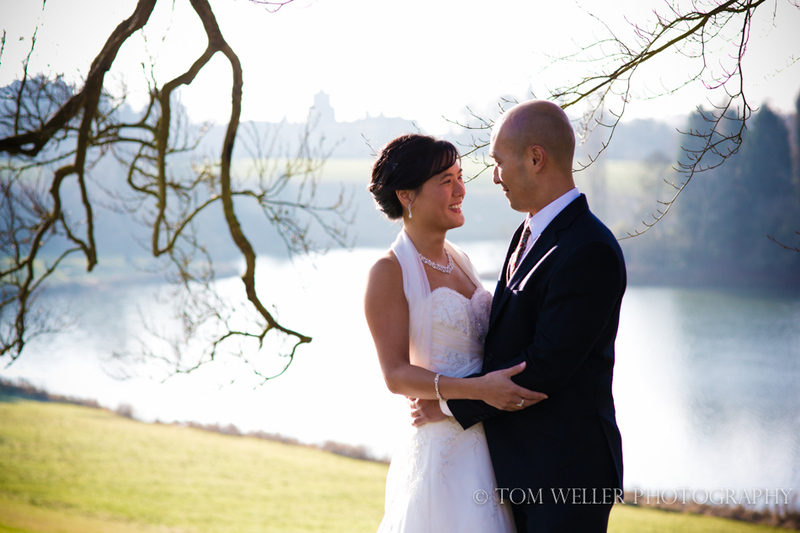 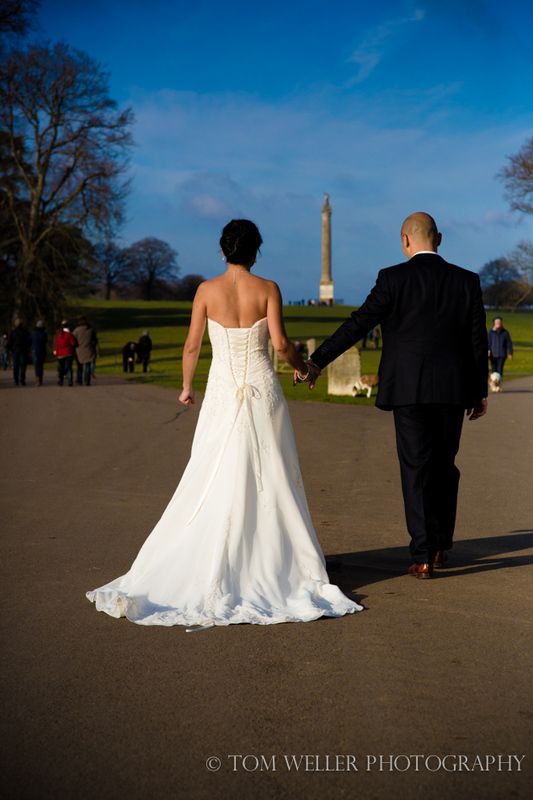 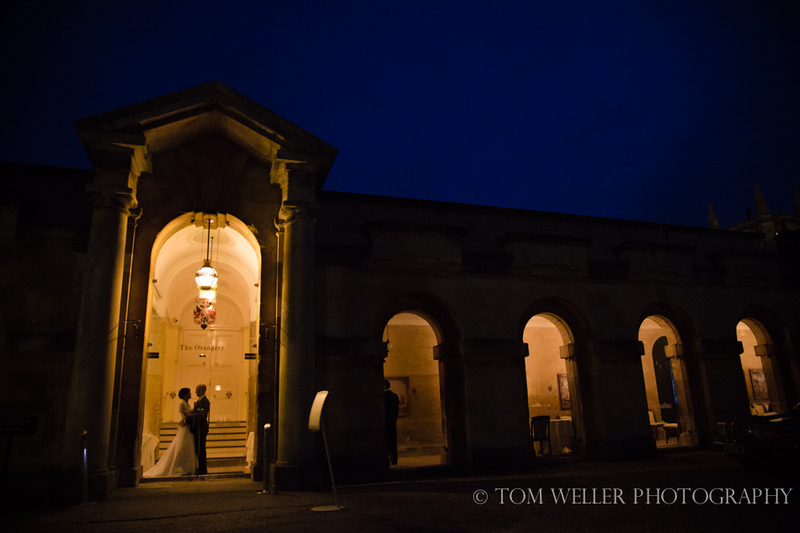 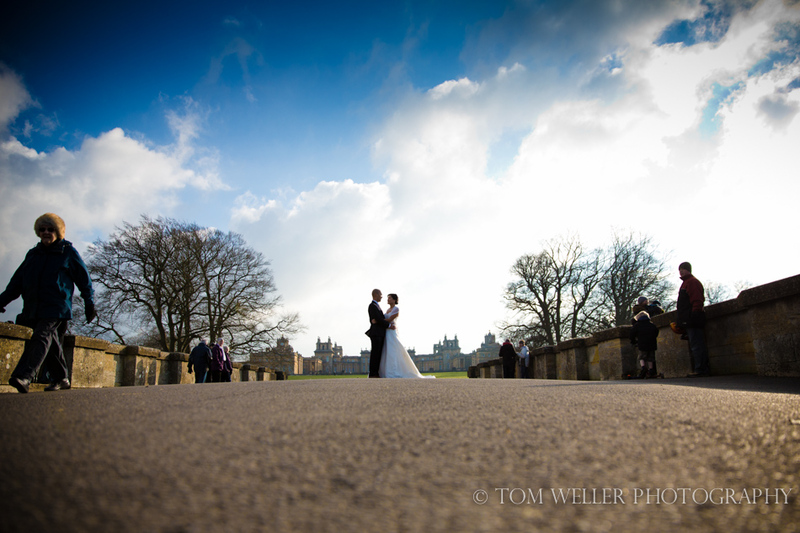 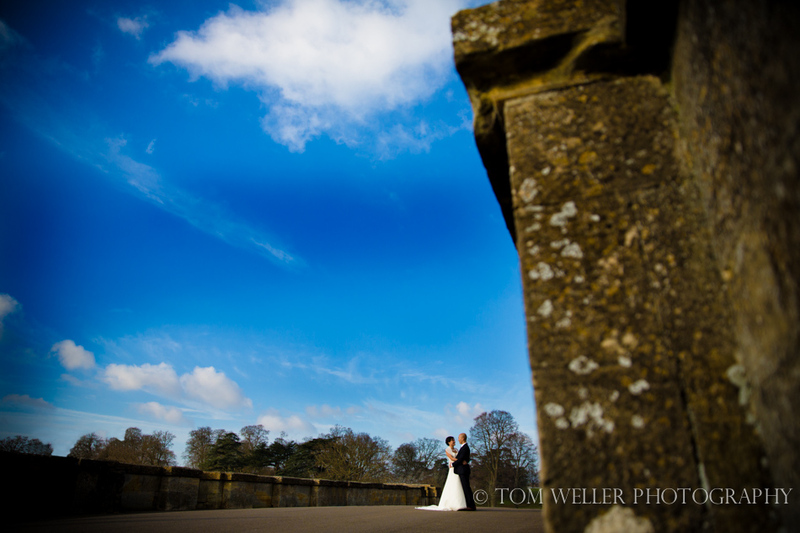 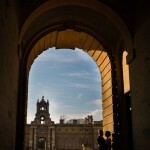 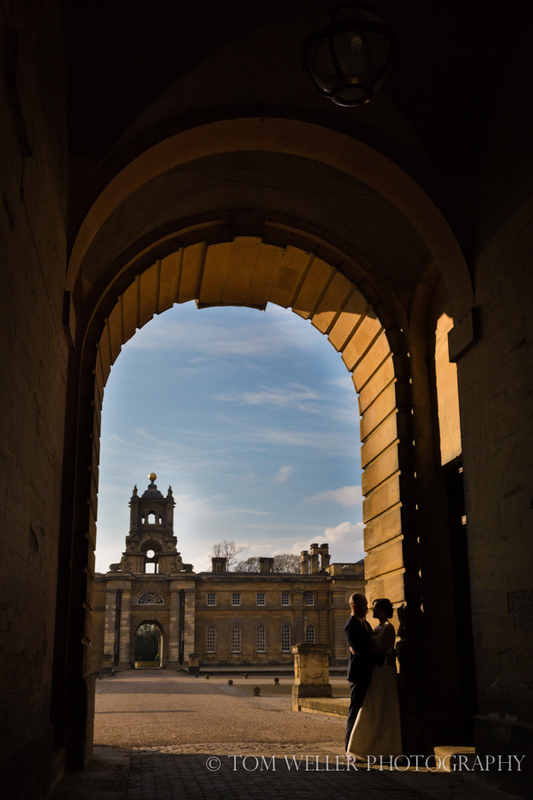 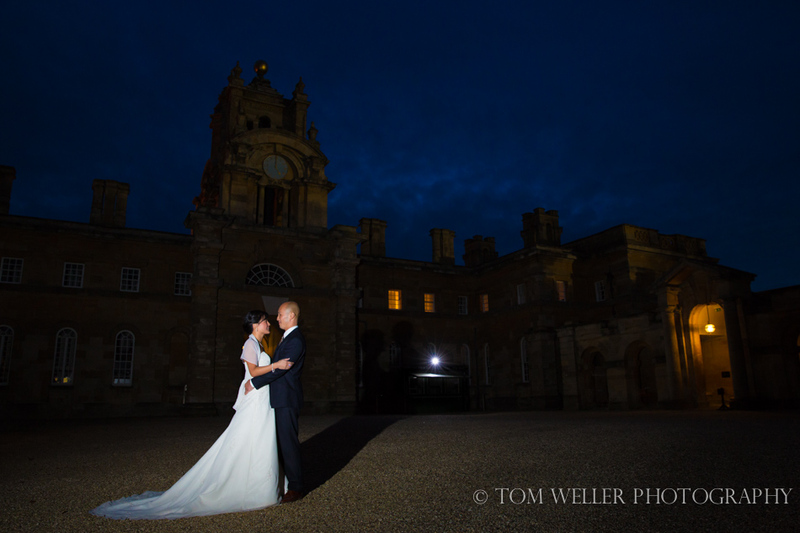 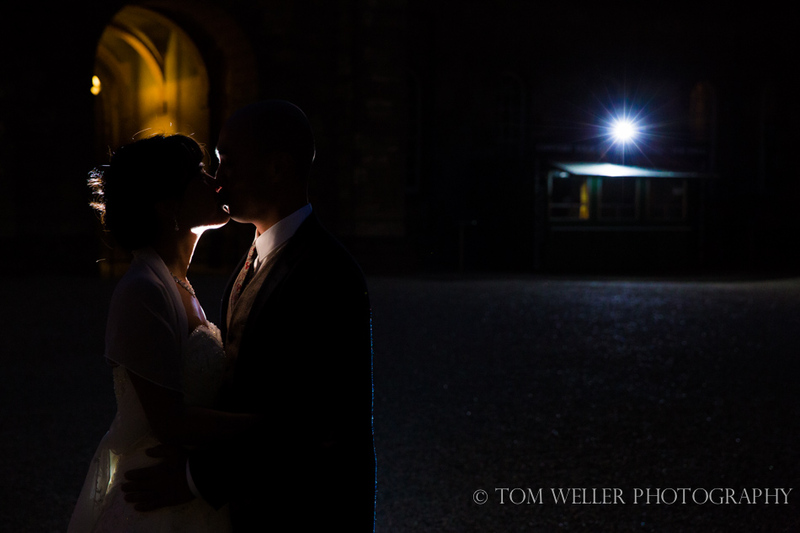 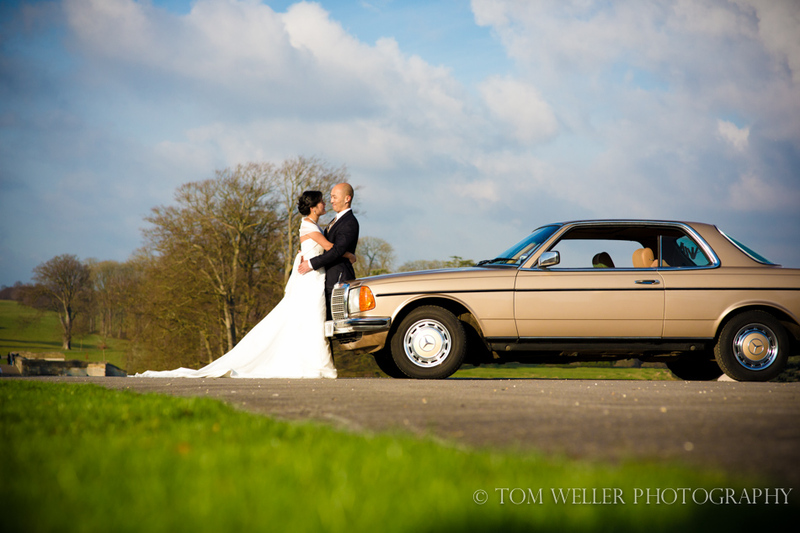 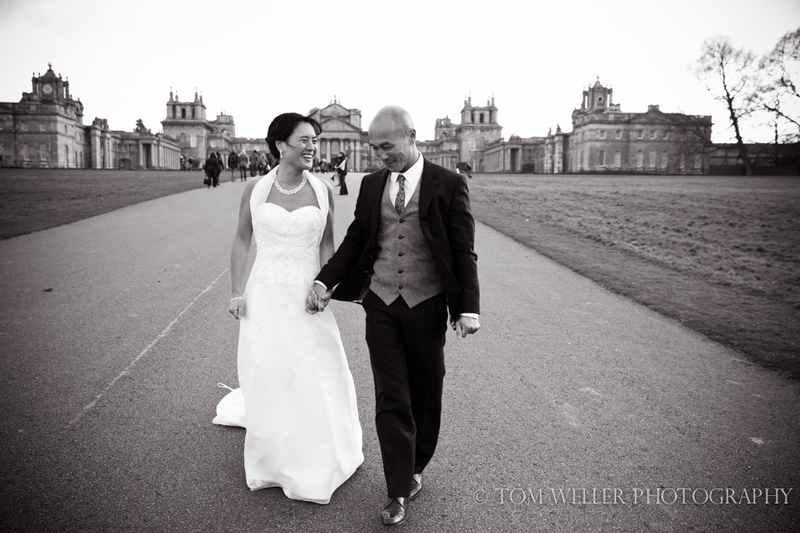 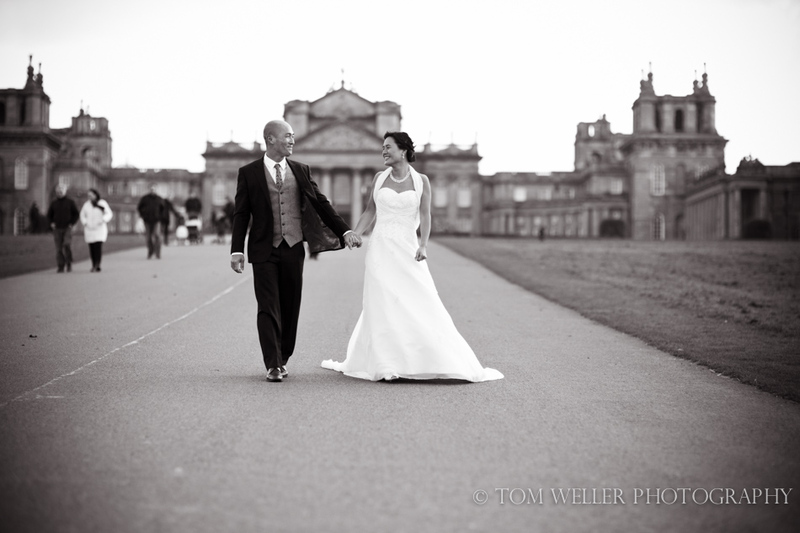 If you are having a Blenheim Palace wedding and would like to discuss your photography please get in touch – I would love to hear from you.